Expedia Mollina holiday packages help you save cash! Combining your bookings will give you more cash to splash for your awesome holiday. Reserve your package deal on Expedia and save as much as 15%*. You can select from more than 400 partner airlines and 321,000 worldwide properties on our comprehensive database of flights and lodgings. Fly with who you want, stay where you want — now that's a dream holiday! 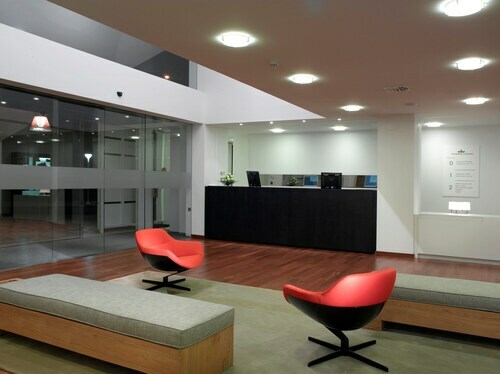 You can cancel or change almost any reservation and you won't pay any extra fees to us. We've got all the sightseeing info you need for your forthcoming trip to Mollina. Grab your travel diary and prepare to start working on that itinerary. Keep an eye out for birds, reptiles and mammals and try to picture what's living under the surface at Fuente de Piedra Lagoon. This biologically complex ecosystem provides a rich habitat for countless species of animals and plants. Adventurers have an abundance of choice in and around this destination. If you're in the mood for a bit of spiritual enlightenment, call in to Iglesia Parroquial Nuestra de la Oliva. Who knows, you may even glimpse the answers to a few of life's most perplexing questions! Still got time to spare? Great theatre can challenge the way we think and asks us to aspire to more. Get tickets to a show at Casa de Cultura Theatre and expand your way of thinking. Regrettably, there aren't many accommodations to choose from in Mollina. The Casa Rural Aire (C/ El Tomillo, 29) is the only Expedia-listed property close by. Organised the plane tickets for your trip to Mollina yet? When you get there, prepare to stroll out into Malaga Airport (AGP). It's 35 miles (56 km) from here to the heart of town. Hotel Fortes la Nuit S.L. Situated in Mollina, this hotel is within a 15-minute walk of Casa de Cultura Theatre and Iglesia Parroquial Nuestra de la Oliva. Fuente de Piedra Lagoon and Puerta de Estepa are also within 9 miles (15 km). 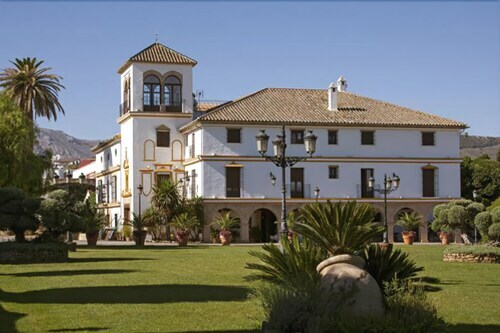 Situated in Antequera, this spa hotel is within 1 mile (2 km) of Antequera Trinity Church and Puerta de Estepa. 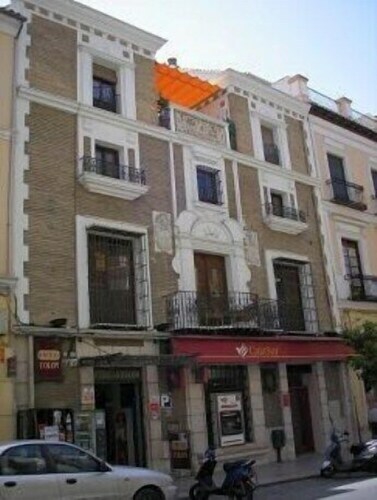 Capitán Vicente Moreno and Antequera Town Hall are also within 2 miles (3 km). Antequera Station is 17 minutes by foot. This family-friendly Antequera hostal is located in the historical district, within a 10-minute walk of Antequera Town Hall and Antequera Trinity Church. Antequera Castle and Menga Cave are also within 1 mi (2 km). Antequera Station is 15 minutes by foot. Situated in Antequera, this hotel is within a 10-minute walk of Antequera Trinity Church and Puerta de Estepa. Capitán Vicente Moreno and Antequera Town Hall are also within 15 minutes. Antequera Station is 13 minutes by foot. 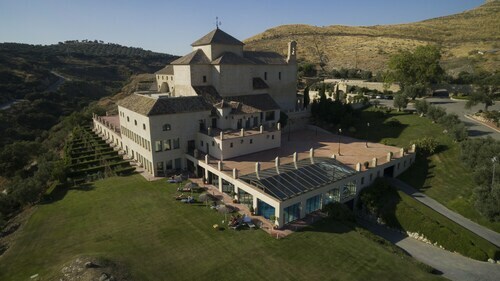 Situated in Antequera, this luxury hotel is 1.7 mi (2.7 km) from Antequera Golf and 2.5 mi (4.1 km) from Lobo Park. Torcal de Antequera and Colegiata de Santa Maria la Mayor are also within 6 miles (10 km). 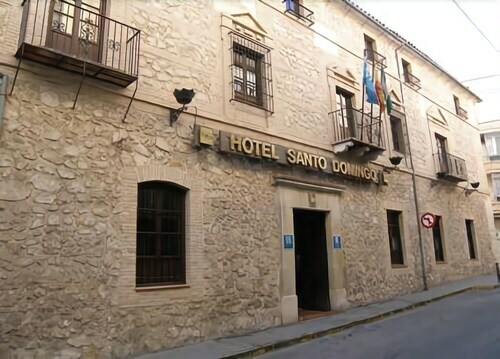 Situated in the business district, this romantic hotel is 0.8 mi (1.3 km) from El Romeral and within 3 miles (5 km) of Menga Cave and Convento de Belen. Iglesia del Carmen and Museo Conventual De Las Carmelitas Descalzas De Antequera are also within 3 miles (5 km). Situated in Lucena, this historic hotel is within a 5-minute walk of Santo Domingo Church and St. Matthew the Apostle Parish. Red Park and Church of Santiago are also within 10 minutes. 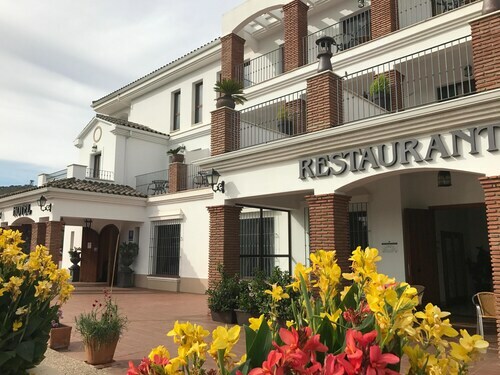 Located in the mountains, this family-friendly hotel is within 12 mi (20 km) of The Church of La Victoria, Church of Santa Ana and Convent of the Monjas Minimas de San Francisco de Paula. Fountain of the Moorish Maiden and Parroquia de Santiago Apostol are also within 16 mi (25 km).